And now for something completely different! The TBR Woodchipper is a new recurring feature in which I finally get around to reading some of the books that have been languishing on my to be read pile the longest. We all love new books, but it feels good to remind myself why some of these older books caught my eye in the first place. Turns out Taryn of the Past had pretty good taste! This time I’ve got a literary Western, creepy historical fiction, and an international crime novel for you. Let’s get to it! 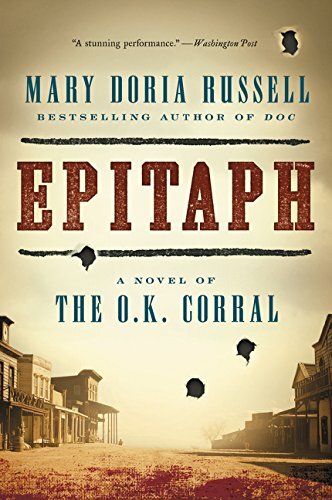 I bought an ebook version of Epitaph on sale literal YEARS ago and finally decided it was time to read it recently when I was in the mood for a Western. To get the full experience, I even reread Doc, the companion novel that covers the lives of Wyatt Earp and Doc Holliday in the years before the shootout at the O.K. Corral. And I had such a great time! Doc Holliday was a fascinating person, and Russell goes beyond the myth to portray the real, complicated man. And if you’ve ever wanted to know what really went down at the O.K. Corral, Epitaph has the full doomed story. You won’t believe how page-turning a historical novel about the old West can be. Salem, Massachusetts was not the first town in history to suffer a hysteria over presumed witches. 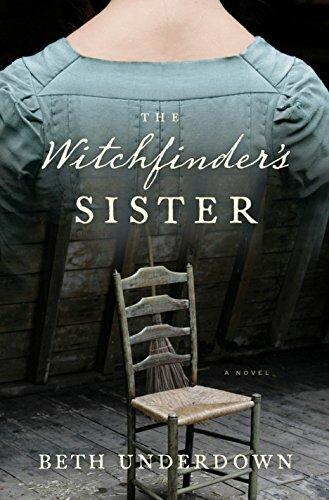 The Witchfinder’s Sister is set across the pond in 1645, in a small village where a woman named Alice has just returned to live with her brother after the untimely death of her husband. She’s heard rumors that her brother keeps a book of names of women he suspects to be witches, and before long Alice herself is sucked into his twisted machinations. Despite how quiet and slow-paced it is, this book is incredibly creepy! And I have to say, it's sad how relevant this story about powerful, fearful men accusing women they don't like or don't understand of being witches in the 1600s feels today. 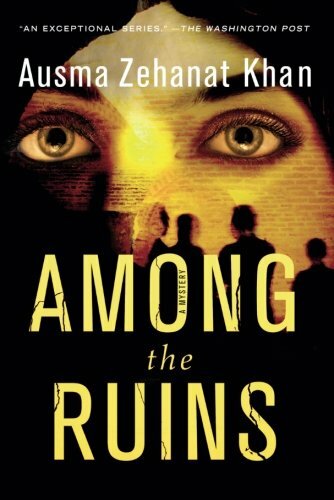 Ausma Zehanat Khan writes the smartest mysteries ever. If you want to travel the world while investigating murder, her books should be on your list. Canadian cops Esa Khattak and Rachel Getty are an unstoppable team--so unstoppable they can collaborate on a murder case when they’re halfway across the world from each other. Esa is on leave in Iran when a Canadian filmmaker is arrested and killed while in custody, and even though getting involved is highly risky to him personally, with Rachel’s help from back home he just might be able to uncover the truth and avoid an international incident. Khan has a background as a human rights lawyer and a knack for writing empathetic, relatable characters. This is the third book in a series, and I heartily recommend the first two books as well.